That happened to my dog Gunnar on our last hike. He’s no longer with us, so this is a bittersweet article. During hunting season I made sure he wore blaze orange. The photo above, of him, resting, overlooking the Bennett Creek valley was a spring photo, and hunting pressure was absent. So, we skipped the blaze orange. Looking up at a distant hill, we plotted our course. The public lands of the Badlands provide good hiking territory for dogs and their owners — with a few dangers such as porcupines, skunks rattlesnakes, and coyotes. The National Park and the State Park have strict limitations on dogs. So, head for BLM or Army Corps of Engineers land. On this November Day, we struck out to explore. Gunnar was keyed into me, so my voice and hand commands kept him on the straight and narrow. The destination was the Little Missouri River Valley near where it empties into Lake Sakakawea between Killdeer and Mandaree. The bluffs, butte, and hills are fairly rugged, so we picked our route carefully through the valley. Typically, we follow hogbacks, or ridges along the tops of valleys to see the landscape and pick our course. Since hunting season was underway, Gunnar wore a hunter’s blaze orange vest. We found fascinating rock formations, including a wall of rivulet erosion down the hillside. Gunnar picked his own route to the bottom but discovered it didn’t get him where he wanted to go. Happily, he scampered down…part way. Only part way. He stopped. Gunnar was mostly Australian Shepherd — and some Golden Lab. My previous canine hiking companion was also Australian Shepherd. Growing up in the woods, I always had a dog as a hiking companion — usually a black and tan hound. They handle the briars, brambles and burrs better than an Australian Shepherd with long hair. Still, I like Australian Shepherds. In my limited experience, I’ve found them to be perfect hiking companions. They stick with me as the “leader.” In fact, when Gunnar would run ahead on a trail, he stuck to it. When the trail forked left or right, he’d stop and watch me to see which way we were headed. All I had to do was raise my right arm to go right, or my left arm to go left. He’d head that way, then look back to make sure I was headed on that fork, also. Water is essential, as you can see from the shovel-tongue thirsty look. So, I’d carry a collapsible pan and a bottle of water for my hiking companion. There can be dangerous moments for a dog, so it’s not for every canine companion. But when you’ve got a good canine companion, it makes the hike much better. Backpacker has a great article on hiking with a dog. Just click here. Stories abound of the danger dogs and humans can face from wolves such as Three Toes. I have friends who ride horses through the Badlands with a dog trotting alongside. Have you tried that? 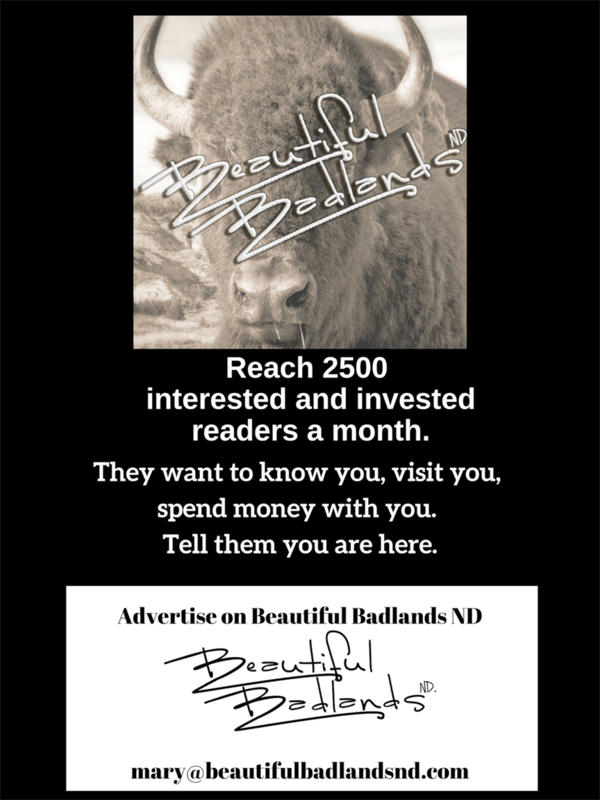 What is your advice for taking a dog on a hike in the North Dakota Badlands? Drop us a line so we can share your ideas and tips. Thanks!